Maybe Renato and I are just old married people now, but we prefer to keep things kind of low-key for Valentine's Day. We never really bought into the idea of spending a fortune for one day to say "I Love You." For us, it's about all the little things we do for each other every day. Like when Renato fills up my empty water bottle because he sees it's empty. Or, when I get up early during the week to get breakfast ready and let him stay in bed a little longer. This Valentine's Day we're planning a quiet dinner for two at home. Many times making a simple meal together means more than a fancy one out on the town. Simple can still be special. This year on the menu is smoked mozzarella baked chicken rollatini. Disclosure: I received cheese from Calabro Cheese Corp. to facilitate this recipe. I received no other compensation and the opinions contained herein are my own and reflect my experience with the products. Your own may differ. This dinner for two definitely has roots in our Italian heritage. 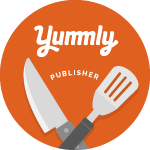 It's a celebration of fresh flavors in a tri-color, healthy meal. 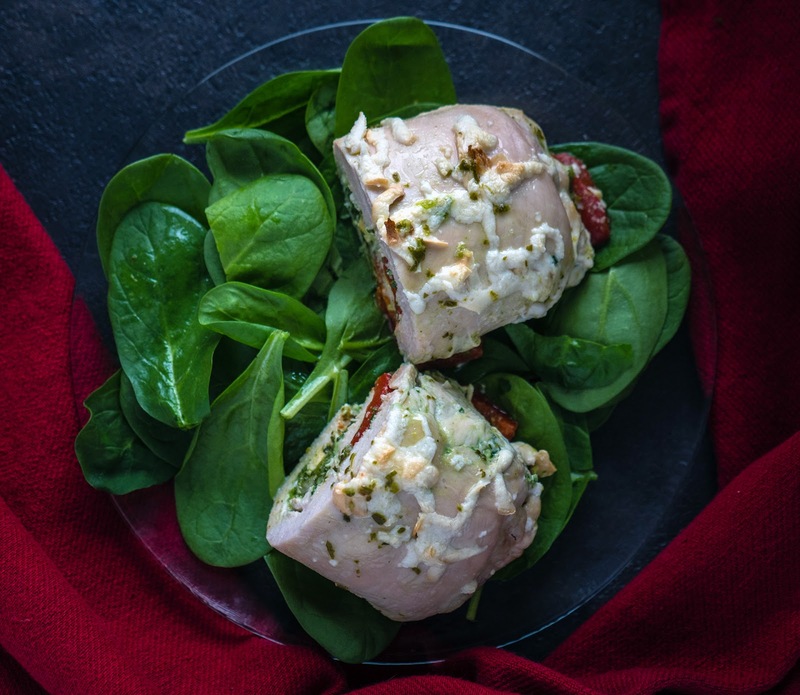 A thinly pounded chicken breast is filled with a spinach mixture, roasted red peppers, and smoked mozzarella. The smoked mozzarella from Calabro is really the star. Made with milk from local farms, it is rBST-free, antibiotic free, gluten free, and low sodium. The cheese is naturally smoked in a mix of hardwoods. It has a distinct smoky taste that pulls together all the flavors in the dish. Both Renato and I are big fans of smoked cheeses and I have to say that Calabro's is up there for flavor and consistency. Calabro is based out East Haven, CT and what started as a small family business by Italian immigrants in 1953 has grown into a business serving not just New England, New York, and New Jersey but also markets in the south, mid-west, and western United States. They have a long list of classic Italian cheeses as well as a line of certified organic cheeses. I'm going to serve each rollatini over a bed of spinach with a squeeze of fresh lemon juice. I'm going to forgo an extra side dish, so we have plenty of room for dessert. I'm thinking maybe some boozy rice pudding. Renato and I have been together a long time, but it feels like just yesterday that we had our first date. Every day together is a reason to celebrate. Big gestures are awesome, but so are little ones. And I mean, what's better than a classic, simple meal made with love? Working with 1 chicken breast at a time, place inside a gallon zip-top bag and seal the bag, pressing out as much air as possible. Pound the chicken breast thin with the flat side of a meat mallet or rolling pin to 1/4-inch thickness. Repeat with remaining breast. Set aside. In a food processor add the garlic clove, fresh baby spinach, 2 tablespoons of olive oil, fresh-squeezed lemon juice and a pinch of salt. Process until smooth. 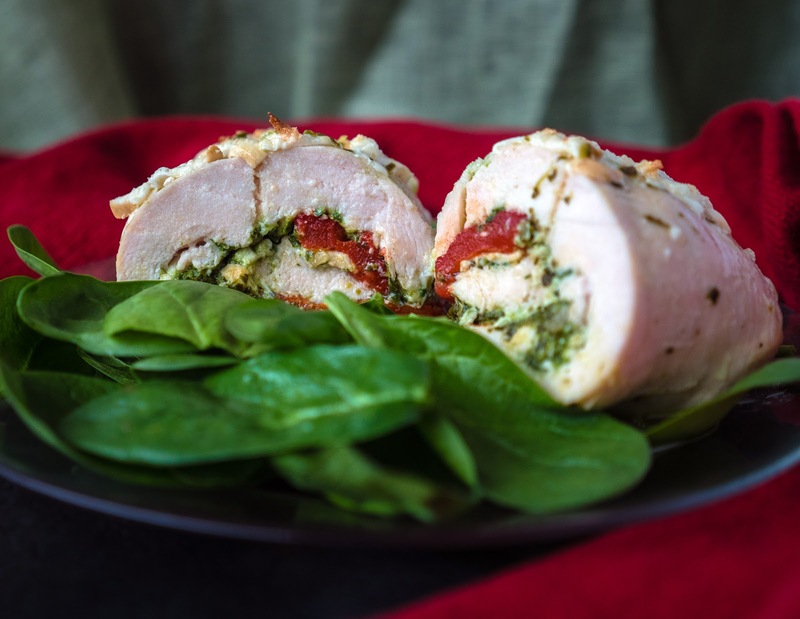 Split the spinach mixture evenly between the pounded chicken breasts and spread into an even layer on each breast. Slice a whole roasted red pepper in half. Place a half onto each breast. Grate the smoked mozzarella. Spread 2 tablespoons of grated cheese onto each breast. Then, carefully roll each breast towards you, securing with toothpicks. Place each rolled breast seam side down into an 8 x8 baking dish. Make sure they do not touch each other to ensure even cooking. Drizzle 1 teaspoon of olive oil and the remaining 2 tablespoons of grated smoked mozzarella over the top of the rollatini. Place in oven and bake 40 minutes. Remove from oven and let sit for 2-3 minutes, then remove the toothpicks. Slice each rollatini in half and serve immediately. Looks awesome! We are doing the same thing meal at home for two! Great recipe! Maybe I’ll try it this week! I love Calabro! 'Staven strong! Yum! Another winner! This looks and sounds so good!